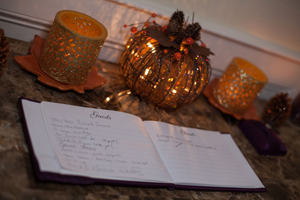 Fall Weddings: Tips & Tricks! Fall is finally here and soon the leaves will be changing and air will become a little crisper, but that doesn’t mean wedding season has to end. 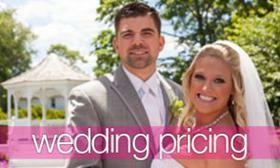 In fact, fall is one of our favorite times of the year to plan a wedding. Here are a few of our favorite tips and tricks for taking advantage of all that fall has to offer. Take Advantage of Nature- Fall may be one of the most unique times of the year. Take advantage of the beautiful color pallet when the leaves begin to change. Make sure to snap a few pictures outside in front of some foliage or take the seasonal décor inside to bring the unique nature of the season to you. 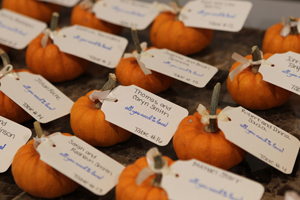 Play with Color- If you’re planning a fall wedding play with different colors. The changing of the leaves makes for a beautiful color pallet, everything from deep purples to burnt oranges. Color is a great way to incorporate the season’s beauty into your wedding. Indulge in Fall Foods- Fall offers some of the best and most indulgent foods of the season. Play with fun fall flavors from pumpkin to apple pie even Thanksgiving turkey. Offer guests the quintessential fall indulgence, caramel apples. You can even package them up and offer them to guest for a sweet snack after a long night of dancing. Warm your guest up- Fall time the weather gets cooler, remember to warn guest if you are planning on having an outdoor wedding. Also try providing blankets on each of your guest’s chairs so if the weather does cool down your guest won’t be left shivering. Another helpful touch would be serving hot apple cider or hot cocoa as a cozy treat to warm guest up. 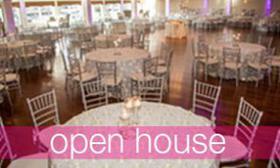 Fall has so much to offer and because it’s not the typical wedding season your guest won’t feel wedding whiplash. 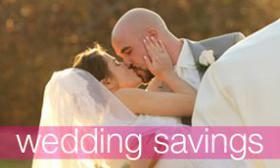 So don’t count out the fall when planning your wedding.